I went back to Pittsburgh. For a very, very short period of time. 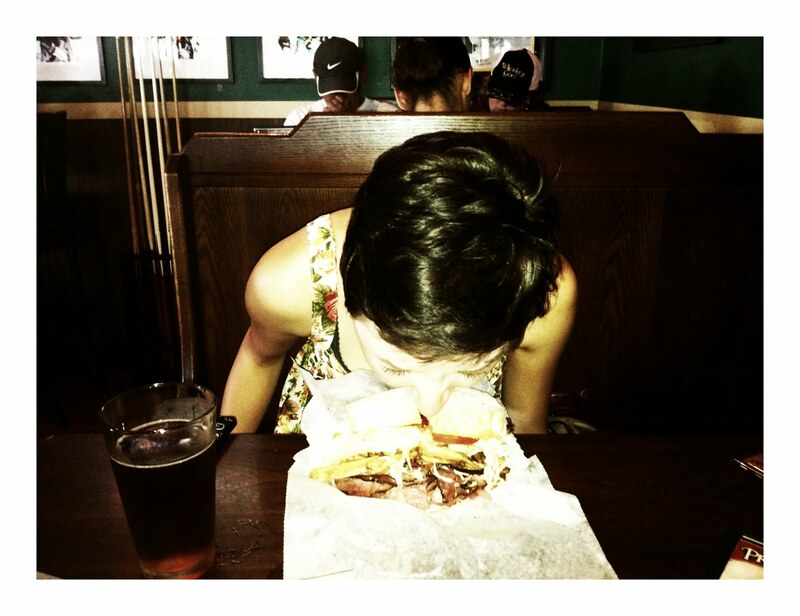 Has anyone else noticed that I have blogged about food more than anything else? Discovering the world, one sandwich at a time. 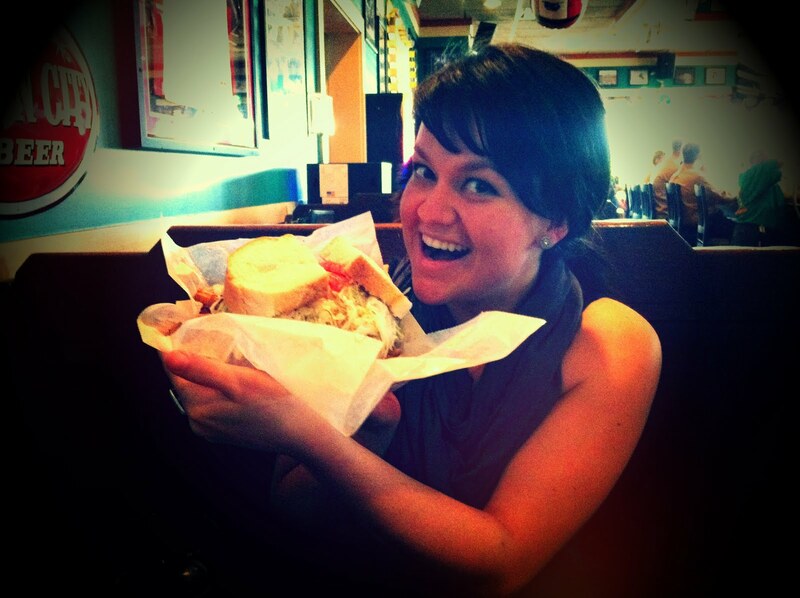 I flew with my friend Caitlin and she told me we had to stop at the renowned Primanti Bros. restaurant (conveniently located across the street from our hotel). It's been on Man v. Food. A show about outrageous portions and the people that dare conquer them. No, we did not finish it. Fran. 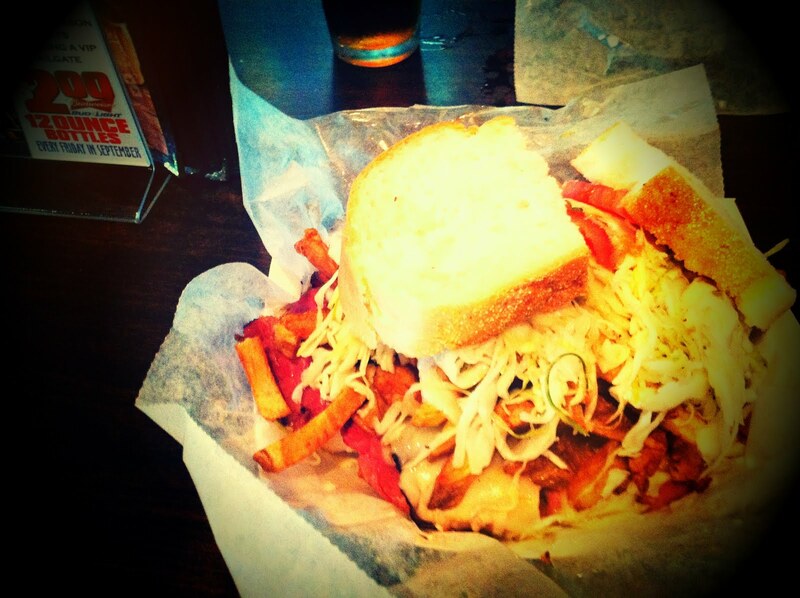 Primanti Bros is one of my very favorite Pennsylvania things. It is why I will never consider myself a Kentuckian and eat hot browns (ew). I wish I could have been there with you! EW HOT BROWN. I am with you on that one. Gross. Let's go to Primanti together!!! !